Another year, another kickass set of Worlds skins. 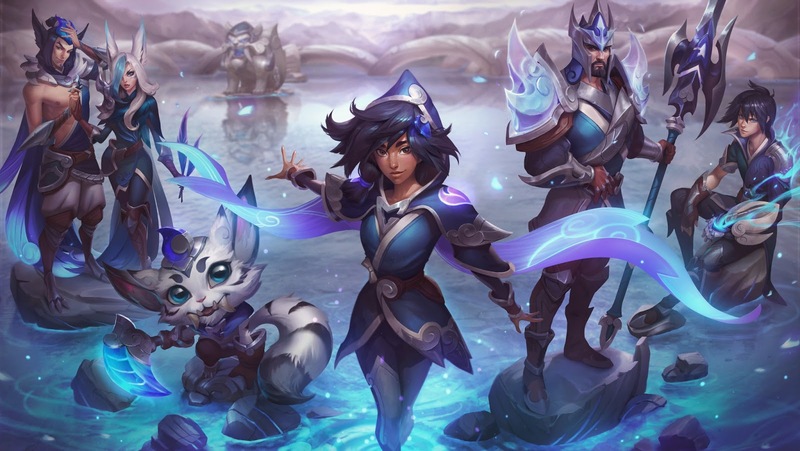 While it’s true that League of Legends teams compete for international bragging rights and a big, fat prize pool at Worlds each year, they’re also competing for something else—their very own set of in-game skins. Up until last year’s set, Worlds skins weren’t all that great, unfortunately. They usually boiled down to just dressing a champion up in a jumpsuit that shares colors with the team’s logo or outfits on-stage, but outside of that there weren’t many differences to the champion’s usual appearance. Starting with last year’s skins, the 2016 Worlds SK Telecom T1 set Riot really amped up the ante, however. The skins featured all new ability animations, custom recalls, new sound effects, and the players themselves worked closely with Riot’s designers to make them happen. The result was incredible, and this year’s Samsung Galaxy skins, arriving with Patch 8.14, look just as cool. Here’s everything we know about them. Each skin will cost 1,350 RP and will be Legacy skins. New models and textures themed around Korean culture and the team’s colors. New visual effects for all abilities. New sound effects for all abilities. New recall animations featuring the autographs of each player.